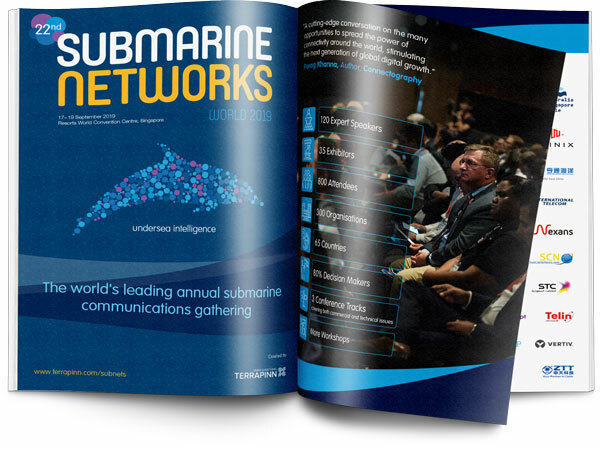 The 22nd annual Submarine Networks World will be held from 16 - 18 September 2019 at the Resorts World Convention Centre, Singapore. As the leading global event in the industry’s annual calendar, expect to hear from 120 expert speakers, and meet over 800 key decision makes from across 65 countries. It’s an event not to be missed if you are in the subsea communications business. For more information about the event, please contact Adam Ball at adam.ball@terrapinn.com or +65 6322 2705 .